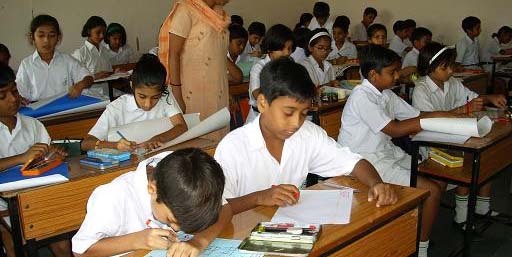 Radhika Bal Vidya Mandir a co-education English Medium School situated in Jaunpur. It was founded on 1990, from classes Kindergarten to 6th as fulfillment of long dream of the people of Jaunpur especially the historical region of Jaunpur which was devoid of Good School. The School is being upgraded up to 10+2 in each progressive year. It has reached up to the secondary level, affiliated to Central Board of Secondary Education, New Delhi. Radhika Bal Vidya Mandir is a School that is continuously progressing & the power of innovation & dissemination Knowledge. A trend of disciplinary education… infused with innovation themes and ideas, Concepts and execution in tune with contemporary development in child’s Psychology and modern educational method. The School is situated at a magnificent Location having a spacious pollution-free eco-friendly campus. It Designed with great care o suit the purpose of enjoyable learning, specious well designed subject oriented Class Rooms, Languages Lab, State of the Art Laboratory System, Multimedia Lab Science Lab. Mathematics Lab, Social Science Lab History-Geography Museum, Computer Lab. Music & Dance Room. Art & Craft Studio Exhaustive Library. Smart Class with animation and activities. Plenty of natural light and air offers a peaceful and conducive atmosphere for pursuit of excellence in academic as well as Co-curricular and extracurricular activities.